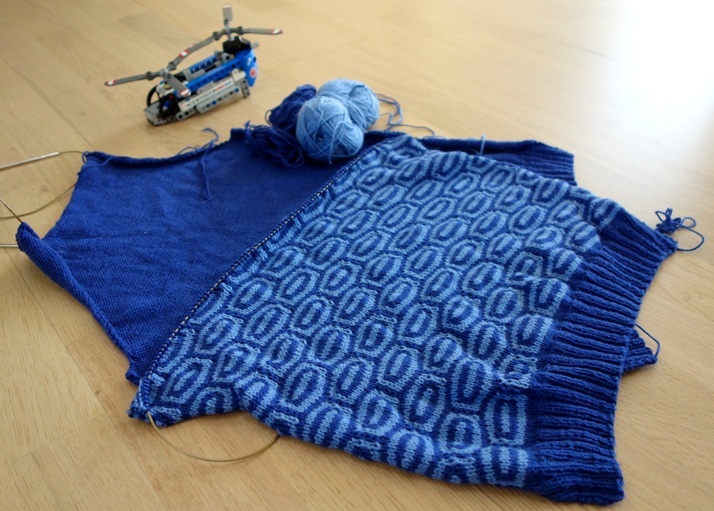 Summer vacation time – perfect for finishing (or at least trying to) knitting Projects, which have been on the needles slightly too long. One such case is this vest for MM. The yarn and pattern was bought at Fanø Knitting Festival last year, and I also managed to start the project back then. It’s probably overdue for finishing, especially if I want MM to be able to wear it before he outgrows the size.